What a shame! She was such a funny actress. I never saw in Hello Dolly since I wasn't born at the time, but she was absolutely hilarious as Muzzie in Thoroughly Modern Millie. 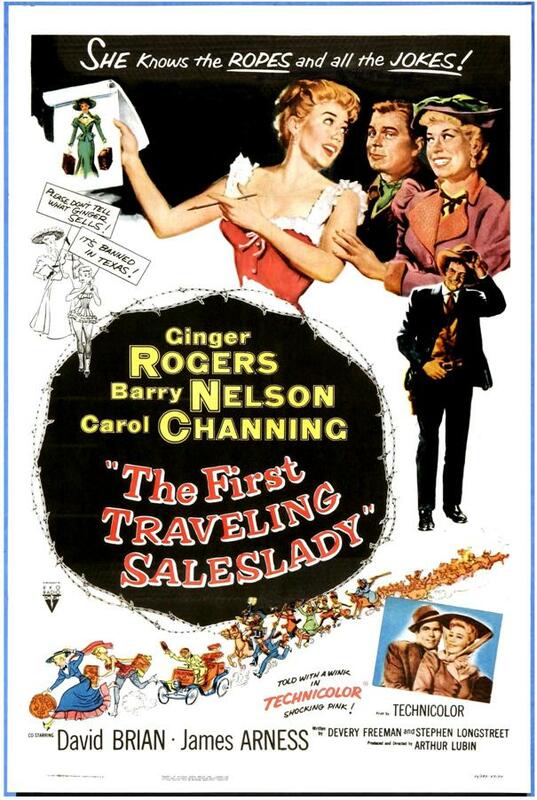 R. I. P.
Carol Channing co-starred with Ginger Rogers and Barry Sullivan in the comedy THE FIRST TRAVELING SALESLADY. Set at the turn of the (20th) century, the film finds "Rose Gillray" (Rogers) and ex-showbiz friend "Molly Wade" (Channing) involved in selling corsets. When the venture fails and they find themselves in debt, they embark on the even more hazardous project of selling barbed wire to highly suspicious Texas cowboys. Clint Eastwood and James Arness also appeared in the film. 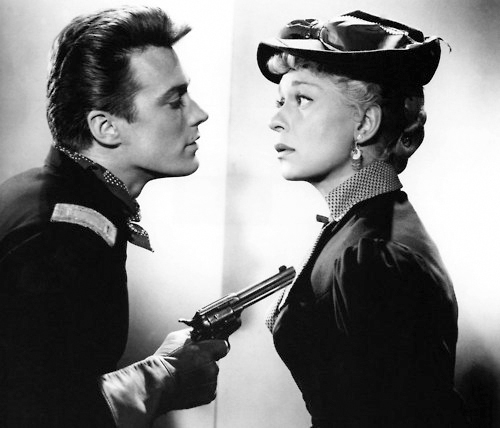 Carol Channing made her credited feature film debut in THE FIRST TRAVELING SALESLADY, which opened in August 1956. As a result of her performance, she was given a contract by RKO. However, by the end of January 1957, the studio had ceased all production activities, so Channing appeared in no additional films. Ginger Rogers and Carol Channing jokingly called the film "Death of a Saleslady", claiming that it was a "terrible picture". Rogers quipped that it was the film that shut down RKO. Arthur Lubin directed the film, which had an unreleased score by Irving Gertz. More than a decade would pass before Channing appeared in another feature film. Producer Ross Hunter gave her a co-starring role opposite Julie Andrews and Mary Tyler Moore in his production of THOROUGHLY MODERN MILLIE. 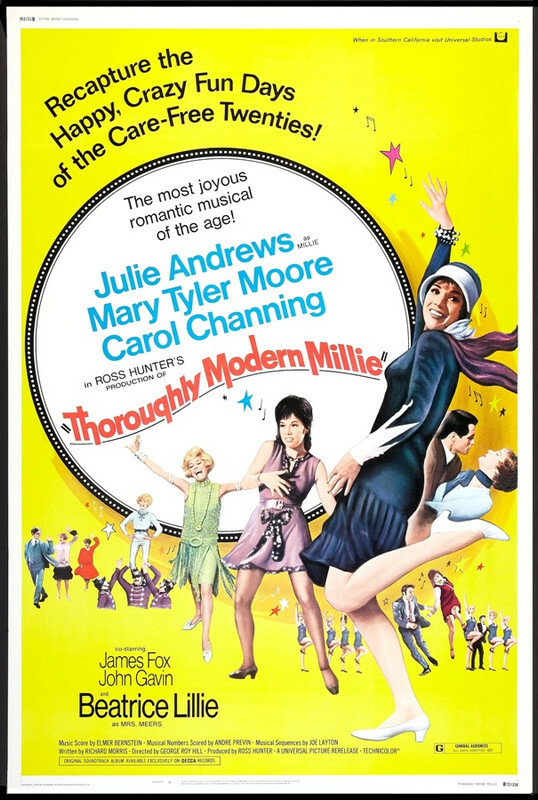 In this 1967 musical comedy, Moore played a pretty orphan, "Miss Dorothy Brown," who becomes friends with Andrews' "Millie Dillmount," who has come to New York City to find herself a secretarial job with a handsome, rich, unmarried boss, "Trevor Graydon" (John Gavin). The two women run afoul of the very prim and proper "Mrs. Meers" (Beatrice Lillie), who is actually a villainous white slaver who has her eye on Miss Dorothy. Carol Channing plays "Muzzy Van Hossmere," a high-living, fun-loving widow, with a palatial estate on Long Island, who befriends the girls. Channing left the touring company of Hello, Dolly! in Chicago, to accept the role. Shortly after THOROUGHLY MODERN MILLIE opened, it was reported that Ross Hunter was in discussions with potential screenwriters to develop a sequel titled "The Jazz Babies", which would reunite Andrews, Channing, and Moore as vaudevillian performers in 1930s New Orleans. However, he disclosed that several previous commitments prevented him from beginning production until later that year, and the project ultimately did not move ahead. George Roy Hill directed the $6 million film, which was a huge success, grossing $40 million worldwide. Jimmy Van Heusen wrote the title tune and a few others for the film. Elmer Bernstein received his only Academy Award for his background score. Decca Records released the song score, which was re-issued on CD by MCA in 1993. 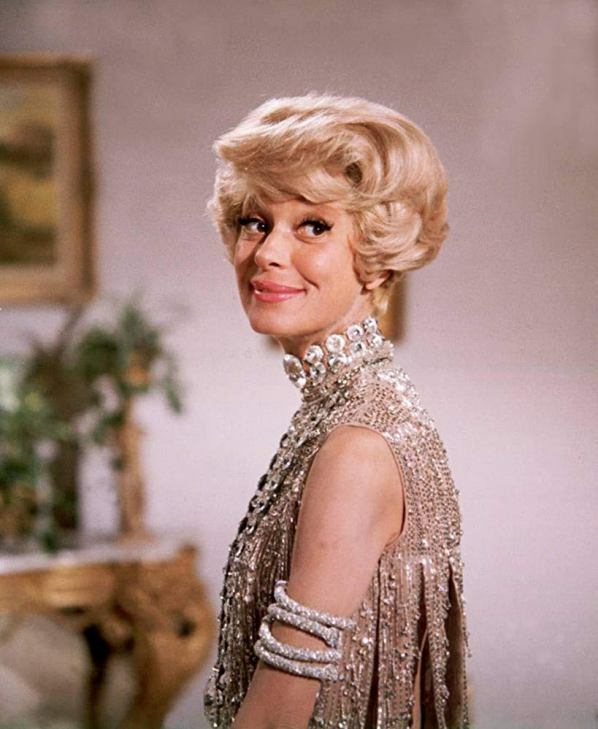 In addition to Elmer Bernstein's award, the film was nominated in six additional Oscar categories: Actress in a Supporting Role (Carol Channing), Art Direction, Costumes, Music (Scoring of Music—adaptation or treatment) [André Previn and Joseph Gershenson], Music (Song), and Sound. Carol Channing lost the Academy Award to Estelle Parsons for BONNIE AND CLYDE, but she won a Golden Globe Award as Best Supporting Actress. This morning when I opened my eMail, I already had several friends, all fans of Carol Channing, commenting on her death. At the age of 97, the death of a famous personality like Channing cannot be totally unexpected, but nonetheless they once again can mark the end of an era in show business. For about 8 years or so after I retired, I produced the film clips tributes for Debbie Reynolds' annual THALIANS BALL, a long-time charity event which raises money for the Thalians wing at the Cedars-Sinai Hospital in Beverly Hills, specializing in mental health issues for adults and pediatric care for young children. Each year an entertainer is honored for his/her long-time work in their favored charity at this ball, which was attended by 1200 of the wealthy stars and public figures of the town. In 1997, they honored Carol Channing. For several months previously I had looked at a great deal of Channing video material and eventually assembled my 6-8 segments totalling nearly 1/2 hour of clips and memorable moments in Channing's career which were presented during the entertainment at that evening's ball. I met Channing, of course, and had my picture taken with her, but she seemed such an interesting person I thought afterward I'd like to visit with her more. I drove down to Palm Springs, greeted her at the elegant friend's home where she was staying/visiting, and she immediately took to me in a very gracious manner. She was very casually dressed, and looked quite different in makeup and hair from her outsize public image, though the speech patterns were quite similar. I had planned to take her to lunch at a restaurant of her choosing, but she would have none of it, and, instead, took ME to an elegant restaurant in the private club house of one of the high-end golf courses in the city. We had a lovely lunch, and chatted about The Thalians, and our mutual producer/director friend, who she'd worked with many times over the years. For some reason---and I can't fully explain this other than to say that some of my other gay friends have had the same kinds of experiences with public personalities they've met---she somehow felt she could confide in me and I would understand and be sensitive to her. Although I was, essentially, a stranger to her, she felt comfortable enough with me to tell me things that I probably should have been uncomfortable to hear. She told me intimate details of her upbringing.....she told me details of her then infamous and strange marriage which she was then coming out of.....she told me of her beliefs and feelings. I listened to it all and occasionally made pertinent comments. She seemed somehow lost and without her bearings and on several occasions she cried. We even talked about the changes in life and how we cope with them as we get older. She seemed quite spiritual, in a way. It was, perhaps, the most unusual meeting of the minds I'd ever encountered. We returned to her home base, chatted out by the pool for a few more hours. I believe we talked some about the book she was then writing. Then in the late afternoon it was time for me to leave to travel back to LA. She walked me to the gate, and we were continuously engaged in conversation. As I turned to go, she said, "Couldn't you just stay for a few more minutes. I love talking with you, and you've given me so many things to think about." We talked for another hour! When I got home I recounted our conversations and my experiences with my partner, who was an admirer of Channing's Broadway work and who was amazed at the day I'd had. And it was, for me, a quite astonishing day, one that I'll long remember and ponder, and one that made me realize, once again, but even more deeply, that public impressions are not the same as private impressions. Channing's public image is one of a daffy, over-the-top, very out-sized personality, and, in many circles, one tough cookie to deal with. Channing's private image is quite startlingly different---a thoughtful, educated woman, with personal needs and goals, and an unexpected sensitivity. How she interacts in public and in private are two very different things. She is a legend, of course, and I've known her work for more than 50 years, but I wasn't a particularly special fan. Now I am---but particularly of her private persona. Though she calls occasionally to say "Hello," we haven't otherwise stayed in touch. Her life moved on very positively after our meeting, she re-discovered and married her childhood sweetheart, who I've talked to, and who seems like a very nice, un-showbusiness man. Several years ago she called wanting to see if I had several video clips from past performances, so that she could watch and re-acquaint herself with some of her old routines for a cabaret show she was then planning. One of those was the famous "Cecilia Sisson" routine, which, to this day, is still a classic and hysterical. There has never been, and never will be, someone quite like Carol Channing. 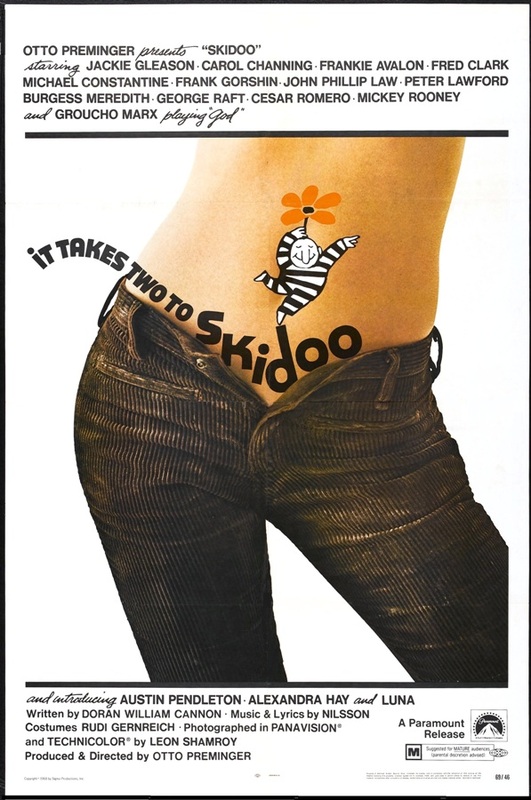 SKIDOO is widely considered to be one of producer-director Otto Preminger's worst films. In this 1968 comedy, former mobster "Tony Banks" (Jackie Gleason) now operates a car wash and lives with his wife, "Flo" (Carol Channing), in an affluent San Francisco suburb. 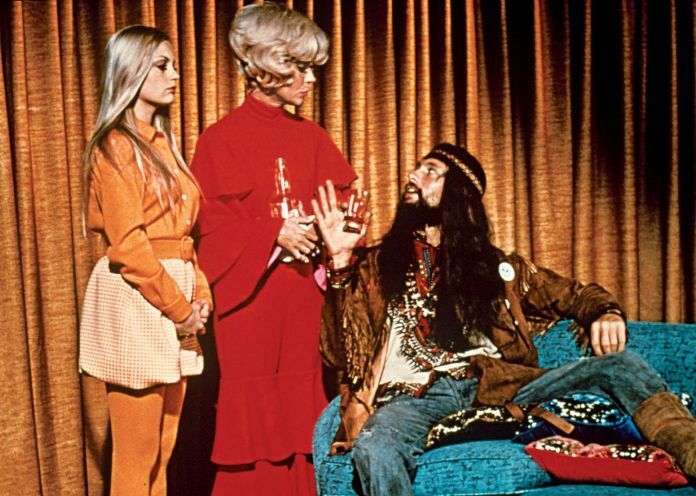 His peaceful existence is disrupted, however, when his teen-aged daughter, "Darlene" (Alexandra Hay), falls in love with "Stash" (John Phillip Law), a long-haired hippie, and two underworld cronies, "Hechy" (Cesar Romero) and his son "Angie" (Frankie Avalon), arrive with word that their gangland boss--"God" (Groucho Marx)--wants Tony to do one last job by rubbing out "'Blue Chips' Packard" (Mickey Rooney), an imprisoned mobster who is planning to tell all to a Senate crime committee in return for a life of luxurious solitary confinement. The film's score, by Harry Nilsson, was released on an RCA Victor LP, which was reissued on CD by Camden in 2000. "Archy" and "Mehitabel" (styled as "archy and mehitabel") are the names of two fictional characters created in 1916, by Don Marquis, a columnist forThe Evening Sun newspaper in New York City. Archy, a cockroach, and Mehitabel, an alley cat, appeared in hundreds of humorous verses and short stories in Marquis’ daily column, "The Sun Dial". Their exploits were first collected in the 1927 book archy and mehitabel, which remains in print today. In 1954, Joe Darion and George Kleinsinger wrote dialogue sketches and songs based on Marquis’ columns and in that year singers Jonathan Anderson and Mignon Dunn performed them in New York in a musical titled "Archy and Mehitabel." 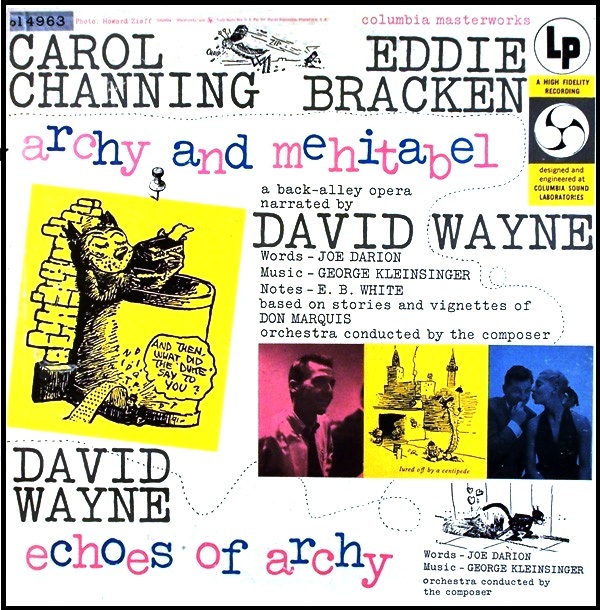 In the mid-1950s, Carol Channing and Eddie Bracken produced an album, "archy and mehitabel: a back-alley opera", which included actor David Wayne as narrator and in a separate spoken-word performance on the album, "echoes of archy." 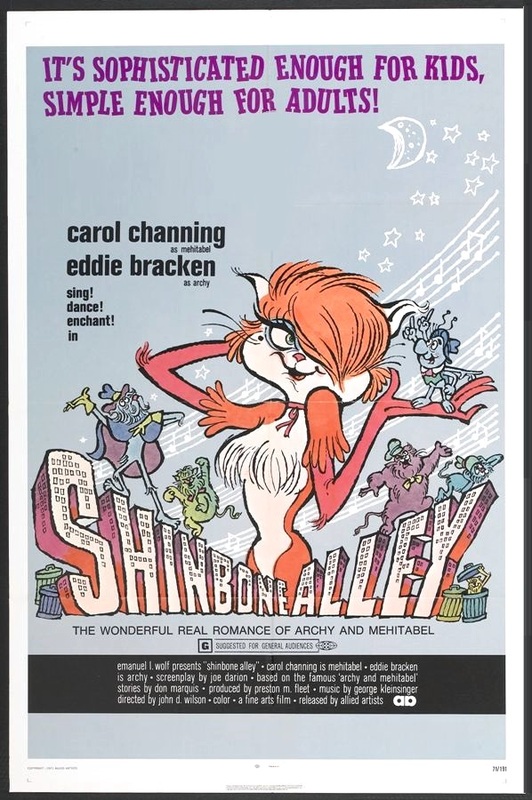 In 1956, Darion and Kleinsinger reworked their musical with the help of comedian Mel Brooks, adding Archy’s infatuation with Mehitabel and renaming the show "Shinbone Alley." Presented as a full-scale Broadway musical in April 1957, the production featured Bracken in a reprisal of his role as Archy and actress Eartha Kitt as Mehitabel. Although the show ran for only 49 performances, the songs from the musicals became part of Channing's and Kitt’s standard repertoires. In January 1969, it was announced that Fine Arts, a company created by British producer-director-production designer John David Wilson, would be making an animated version of "archy and mehitabel" that would contain a live-action sequence before the opening credits. Most of the actors who performed voice-over for the final film were already cast, among them, Carol Channing and Eddie Bracken. Alan Reed, Sr., who portrayed tomcat “Big Bill” in the movie, was well known for giving voice to “Fred Flintstone” in the animated television series "The Flintstones." Released in 1971 under the title SHINBONE ALLEY, the film had its premiere at the Atlanta International Film Festival, where it won the grand prize, the Golden Phoenix award. No soundtrack album for the film was released. 97 ! Great Run Carol! She was wonderful. God Bless and Rest in Peace dear lady. I knew her from TV, where she was always a welcome presence. SGT. PEPPER'S LONELY HEARTS CLUB BAND begins in 1918, in Fleu ‘de Coup, France, where a battle rages in the streets. But Sgt. Pepper’s Lonely Hearts Club Band marches along playing uplifting music, and the enchanted troops lay down their weapons. Later, Sgt. Pepper’s band receives the prestigious Golden Eagle Award for making peace. The band continues to play for another forty years until the band’s leader, Sgt. Pepper (Woodrow Chambliss), dies in 1958, leaving his instruments to his hometown of Heartland. In his will, he writes that the instruments have magical powers and as long as they remain in Heartland, the town will prosper. Many of the scenes set in the film’s idyllic all-American town, Heartland, were filmed on the same MGM lot as Vincent Minnelli’s AN AMERICAN IN PARIS and the classic Andy Hardy movies. 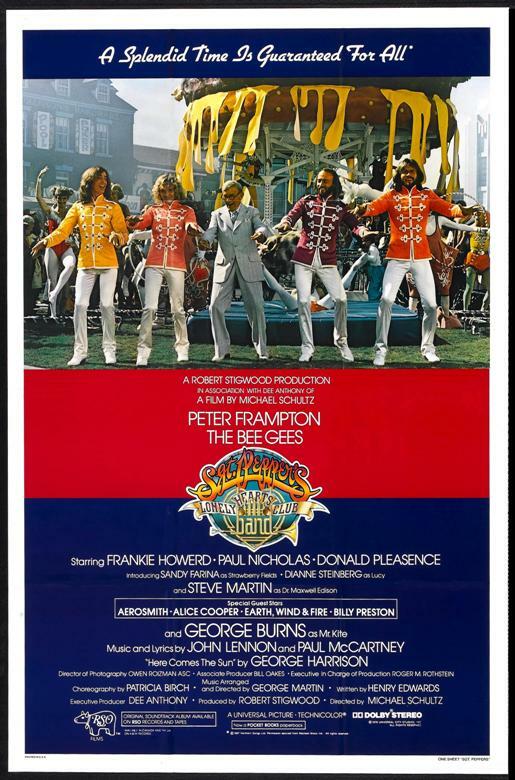 Principal photography ended mid-December 1977 with an all-star grand finale at the Culver Studios in Culver City, where over 100 celebrities from film, television and music sang a reprise of the song “Sgt. Pepper’s Lonely Hearts Club Band.” Carol Channing was one of those celebrities. The eight-hour shoot cost $200,000 to film and an additional $300,000 in travel and hotel accommodations for the celebrity guests. 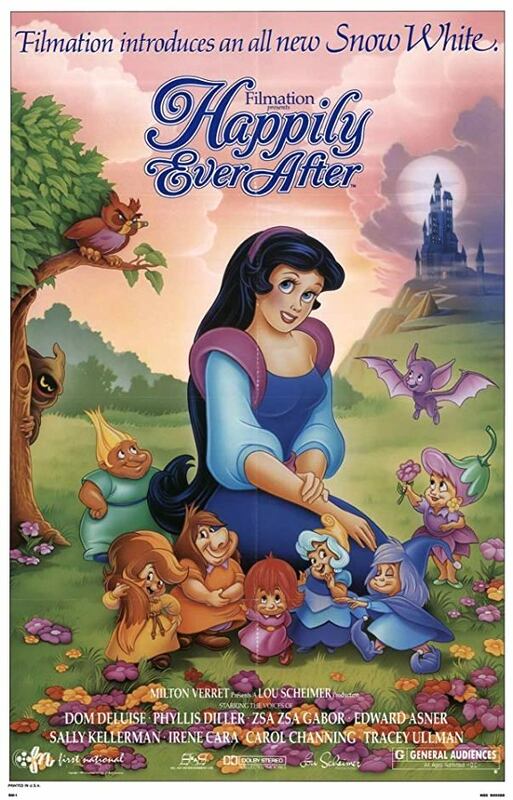 Originally titled "Snow White and the Seven Dwarfelles," HAPPILY EVER AFTER purported to tell the story of what happened after the Prince awakened Snow White from her poisoned-apple-induced sleep. With the Evil Queen dead, Snow White is on her way to see the seven dwarfs when "Lord Maliss" (Malcolm McDowell), the Queen's brother, sees her in the looking glass. He attacks her in the form of a dragon, taking Snow White's Prince to the Realm of Doom. Enlisting the aid of the dwarfs' female cousins, Snow White must embark on a quest to save her true love. Each of the Dwarfelles—Muddy, Critterina, Blossom, Marina, Sunburn, and Moonbeam—control different elements of the natural world. But the young Thunderella laments her failure to develop her power to command the weather. 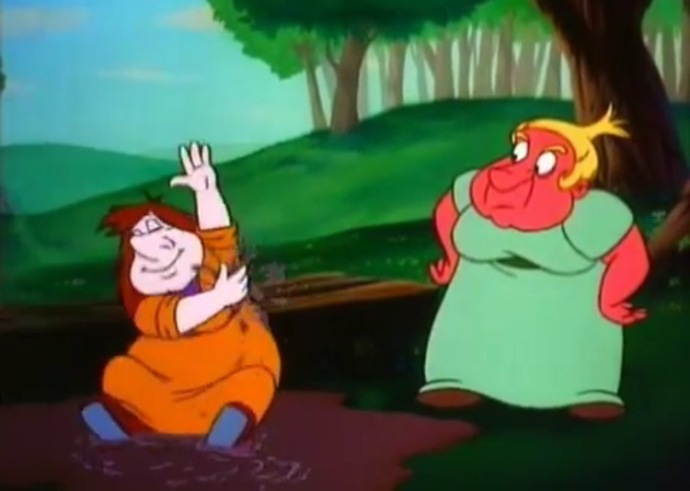 Carol Channing voiced "Muddy," who controls the land. Although the film opened overseas in 1990, its U.S. release was delayed until 1993 by the sale or bankruptcy of various distributors. John Howley directed the film, which under-performed at the box office. Frank W. Becker's score did not get a release. 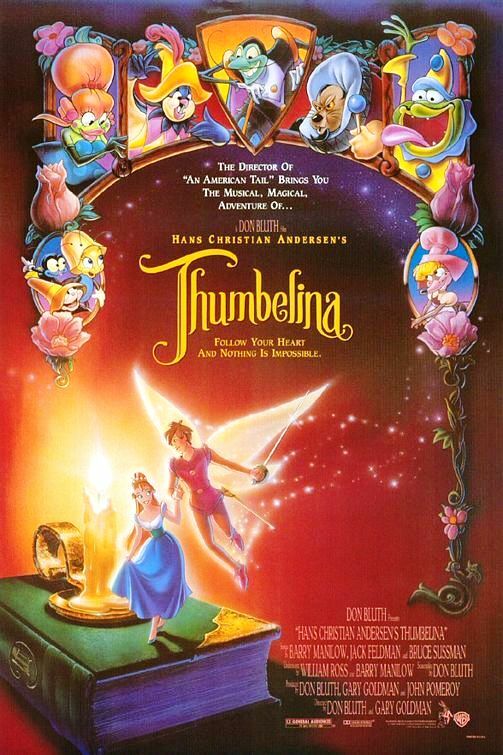 In her last feature film role, Carol Channing voiced "Mrs. Fieldmouse" in the 1994 Don Bluth animated film THUMBELINA. The film told of the tiny girl (Jodi Benson) who meets a fairy prince (Gary Imhoff) who saves her from the creatures of the woods. William Ross provided the background score for the film, which had songs by Barry Manilow, with lyrics by Bruce Sussman and Jack Feldman. 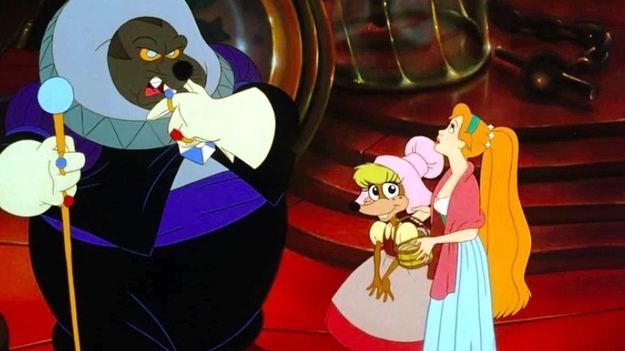 The soundtrack was released by SBK in the U.S. and EMI in Britain. Carol Channing had only a limited career in feature films, yet one that produced the Oscar nomination that so many never get. Of course, on stage, she was a legend. 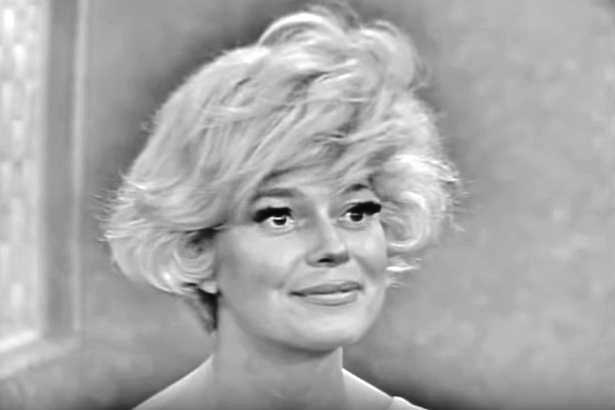 And on television she was omnipresent--on variety shows, talk shows, game shows, award shows, celebrity tribute shows, musical documentaries, and the occasional prime time series. The parade passed by. RIP the irrepressible Muzzy. 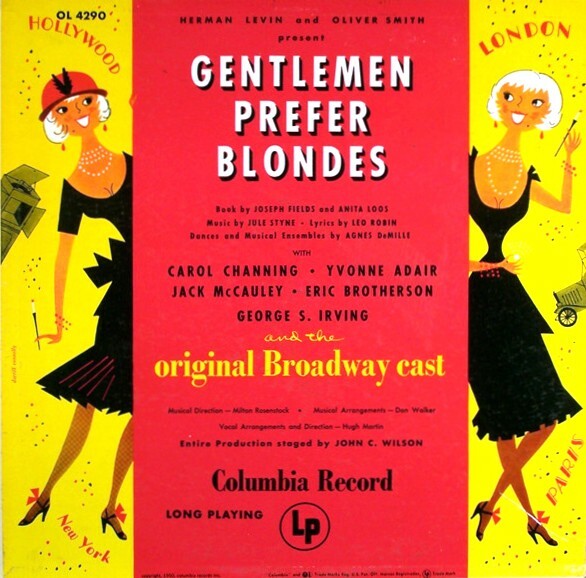 "Gentlemen Prefer Blondes" is a musical with a book by Joseph Fields and Anita Loos, lyrics by Leo Robin, and music by Jule Styne, based on the best-selling novel of the same name by Loos. The story involves an American woman's voyage to Paris to perform in a nightclub. The musical, which was the first leading role for Carol Channing, opened on Broadway at the Ziegfeld Theatre on December 8, 1949 and closed September 15, 1951, after 740 performances. Columbia Records released the original cast album, which was reissued on CD by Sony Broadway in 1991. In 1956, Carol Channing married her manager and publicist Charles Lowe. During the 1950s, he produced the Burns and Allen comedy show, which starred George Burns and Gracie Allen. When Gracie Allen was forced to discontinue performing due to medical problems, she saw that Burns was in need of a partner to play off of on stage since he was best as a straight man. She remembered that Channing, like her, had one of the most distinctive and recognizable voices in show business, and Lowe asked Channing if she would perform with Burns during his shows. She accepted immediately, and Channing worked on and off with Burns through the late 1950s. Channing also developed her own stage and cabaret act during the late '50s, which her husband produced and George Burns staged. Burns also provided special material that Channing used in her act when she did impersonations of Sophie Tucker, Tallulah Bankhead, and Marlene Dietrich. Channing played everywhere from the Tropicana in Las Vegas to the Plaza Hotel in New York. In 1958, Vanguard Records released an LP of her act that was recorded live at some of these shows. "Show Girl," a musical revue with songs and sketches by Charles Gaynor, opened on Broadway January 12, 1961. 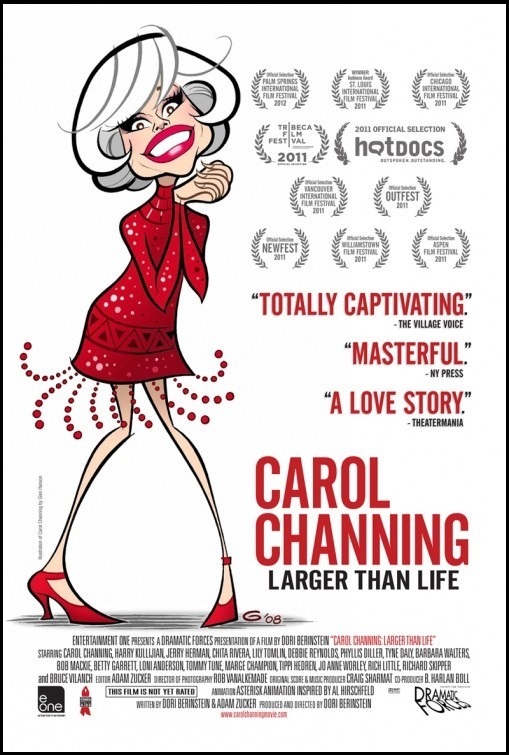 Carol Channing received not only critical love letters but also a Tony nomination for Best Actress. Roulette Records released the original cast album, which was re-issued on CD by Kritzerland in 2009. 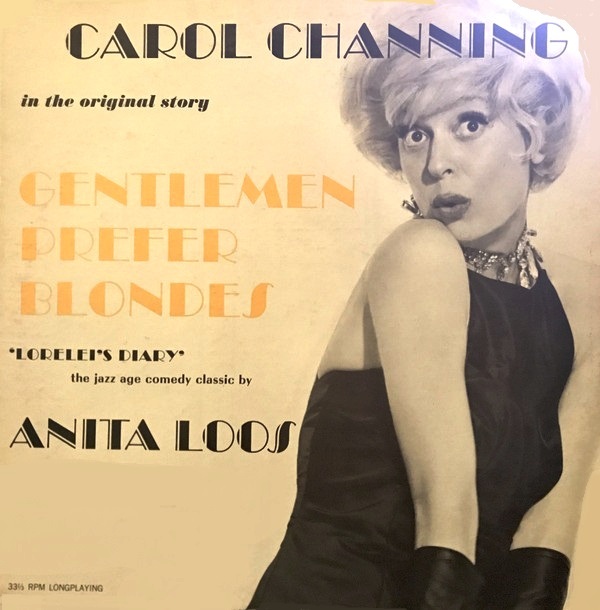 In 1962, Carol Channing returned to "Gentlemen Prefer Blondes" with this spoken word recording of passages from Anita Loos' original novel. Howard Sackler adapted about a third of the novel for this recording, which he directed. Channing read the text and dialogue against a background score of vintage 1920's jazz tunes played by "Charlie Katz and His Stonegrove Serenaders." The spoken word specialist label Caedmon released the LP. "Hello, Dolly!" was a 1964 musical with music and lyrics by Jerry Herman and a book by Michael Stewart, based on Thornton Wilder's 1938 farce "The Merchant of Yonkers," which Wilder revised and retitled "The Matchmaker" in 1955. The musical follows the story of "Dolly Gallagher Levi" (Carol Channing), a strong-willed matchmaker, as she travels to Yonkers, New York to find a match for the miserly "well-known unmarried half-a-millionaire" "Horace Vandergelder" (David Burns). "Hello, Dolly!" was first produced on Broadway by David Merrick in 1964, winning 10 Tony Awards, including Best Musical. This set a record which the play held for 37 years. The show's Original Cast Recording was inducted into the Grammy Hall of Fame in 2002. The album reached number one on the Billboard album chart on June 6, 1964, and was replaced the next week by Louis Armstrong's album "Hello, Dolly!" The role of Dolly Gallagher Levi was originally written for Ethel Merman but she turned it down, as did Mary Martin—although both eventually played it. Merrick then auditioned Nancy Walker, before hiring Carol Channing who created her signature role in Dolly. Director Gower Champion was not the producer's first choice, but Hal Prince and others turned it down, among them Jerome Robbins and Joe Layton. "Hello, Dolly!" had rocky tryouts in Detroit, Michigan and Washington, D.C. After receiving the reviews, the creators made major changes to the script and score, including the addition of the song "Before the Parade Passes By". 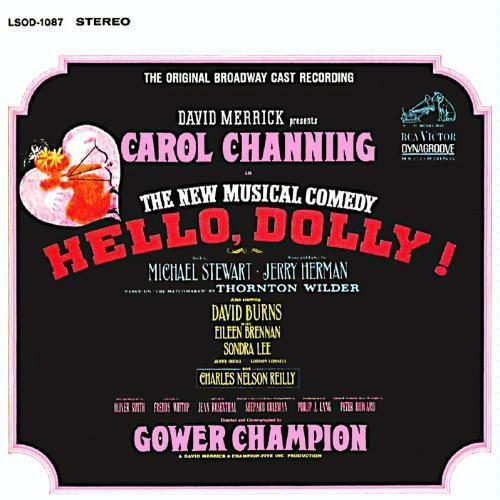 The show was originally entitled "Dolly, A Damned Exasperating Woman," then "Call on Dolly," but Merrick changed it upon hearing Louis Armstrong's version of the show's song "Hello, Dolly". 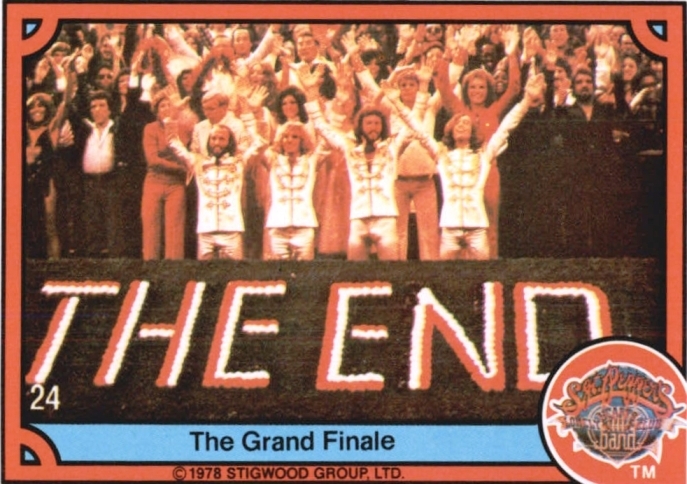 The show opened on January 16, 1964, at the St. James Theatre and closed on December 27, 1970, becoming one of the most iconic Broadway shows of the latter half of the 1960s. It ran for 2,844 performances, and was the longest-running musical in Broadway history for a time. "'Hello, Dolly!' ... has qualities of freshness and imagination that are rare in the run of our machine-made musicals. It transmutes the broadly stylized mood of a mettlesome farce into the gusto and colors of the musical stage. ... Mr. Herman's songs are brisk and pointed and always tuneful ... a shrewdly mischievous performance by Carol Channing. ... Making the necessary reservations for the unnecessary vulgar and frenzied touches, one is glad to welcome Hello, Dolly! for its warmth, color and high spirits." 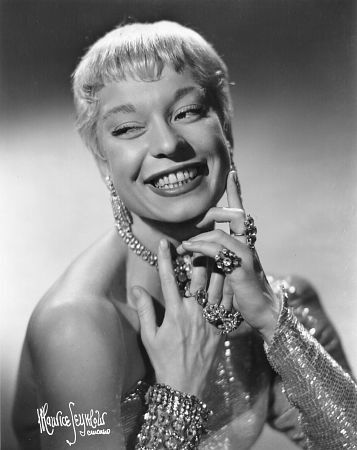 John Chapman of the New York Daily News lauded Carol Channing's performance, declaring her "the most outgoing woman on the musical stage today – big and warm, all eyes and smiles, in love with everybody in the theater and possessing a unique voice ranging somewhat upward from a basso profundo." "'Hello, Dolly!' 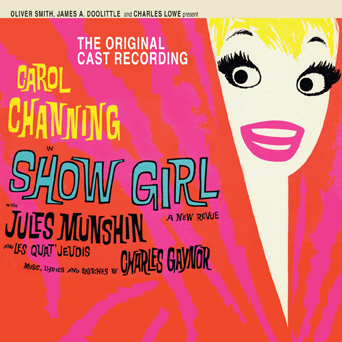 is a musical comedy dream, with Carol Channing the girl of it. ... Channing opens wide her big-as-millstone eyes, spreads her white-gloved arms in ecstatic abandon, trots out on a circular runway that surrounds the orchestra, and proceeds to dance rings around the conductor. ... With hair like orange sea foam, a contralto like a horse's neighing, and a confidential swagger, [she is] a musical comedy performer with all the blowzy glamor of the girls on the sheet music of 1916." Carol Channing won the Tony Award for Best Performance by a Leading Actress in a Musical. She would reprise her role on Broadway in 1978 (for 147 performances) and again in 1995 (for 116 performances). She also appeared in a 1979 West End (London) revival of the show and was nominated for an Olivier Award for her performance. 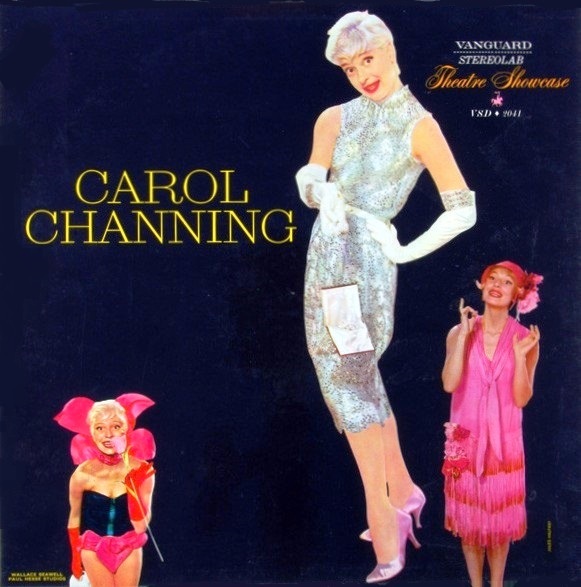 "Carol Channing Entertains" was an album of songs sung by Channing, which was released by Command Records in 1965. On the recording, Channing sang two songs from her earlier shows that she had not sung herself in those shows. From "Gentlemen Prefer Blondes," it was "Homesick Blues," and from "Hello, Dolly!," it was "Elegance," which had special lyrics written for her by Jerry Herman. The album also included other standards such as "Ain't Misbehavin'," "When You're Smiling," and "Bye Bye Blackbird."